Folsom Dog Resort and Training Center - Voted Best of the Best in Sacramento 2010-2012! Voted Best of the Best in Sacramento 2010-2012! 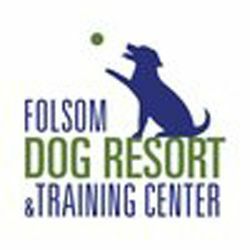 The Folsom Dog Resort & Training Center is conveniently located in Folsom, CA just 1 mile off Highway 50. Your pet can stay at the most award-winning pet care facility in the greater Sacramento area starting as a low as $30 a night. Whether you’re traveling or just want your best friend to have fun while you’re at work, find out why the Folsom Dog Resort & Training Center is the best home-away-from-home for dogs. We are not your “typical” boarding kennel! Over 12,000 square feet of safe, secure grassy outdoor play yard space await our guests. Our overnight lodging accommodations include private temperature-controlled indoor rooms, exceptional cleaning systems, 24 hour surveillance and monitoring systems. We offer multiple, discounted activity and pampering options to customize your dog’s stay with us. *Over 10,000 square feet of outdoor play yards that are clean & safe. *Private rooms provide comfortable accommodations for our guests. *Personalized programs for the unique needs of each dog. *Loving attention by our highly-trained professional staff. *24 hour surveillance and advanced security monitoring systems. We are not your typical Dog Kennel. We are a member of the International Association of Canine Professionals, the International Boarding & Pet Services, and are an Outstanding Pet Care Member! Accepts cash, check, and major credit cards. For more information on our services, contact our office, or see our website for details! And be sure to check us out on these platforms! When your dog is a guest of The Folsom Dog Resort for overnight lodging or day care, we can provide a simple bath or pamper your pet with a premium bathing and grooming service prior to departure!! Does your furry friend walk calmly while on a leash? Does he jump on you or your friends? Does she run away when called?